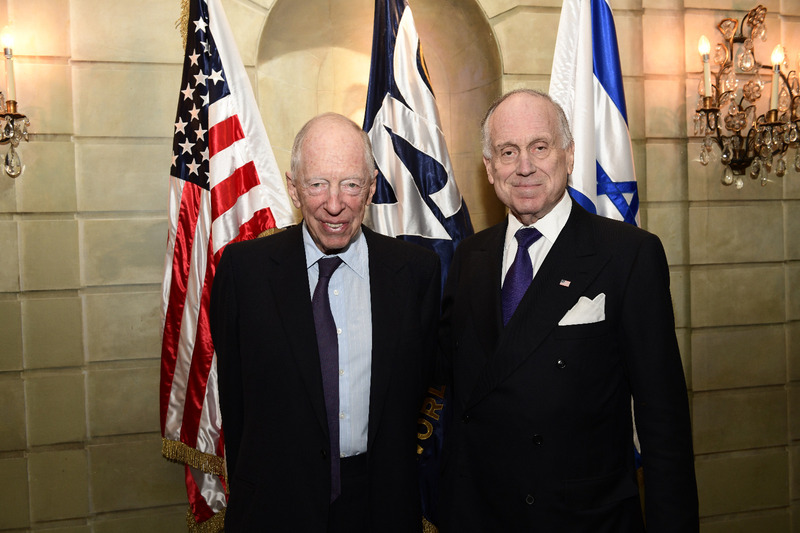 NEW YORK – World Jewish Congress President Ronald S. Lauder on Wednesday presented the Rothschild family with the prestigious annual WJC Theodor Herzl Award, which recognizes outstanding individuals who work to promote Herzl’s ideals for a safer, more tolerant world for the Jewish people. 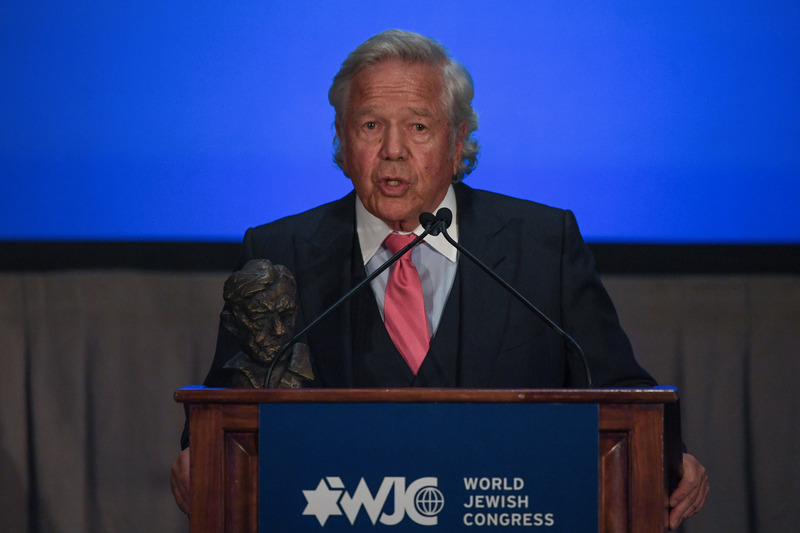 Robert K. Kraft, Chairman and Chief Executive Officer of the Kraft Group, was honored with the WJC's Teddy Kollek Award. “The day after tomorrow, we will observe the 80th anniversary of Kristallnacht [when] the fate of the European Jews was sealed. But today is not 1938. Yes, we face new enemies and new dangers that seek the destruction of Israel and the murder of Jews. But today we are not the powerless, timid Jews of 1938… What the World Jewish Congress does every single day is not just monitor the dangers that the Jewish communities face throughout the Diaspora… we also work at stopping these dangers before they harm us,” adding that a significant portion of the money raised at the evening gala would be dedicated to the WJC’s Global Jewish Security Department and to its initiatives around the world." “When we are united, when we speak as one people, there is nothing we cannot accomplish,” he said. 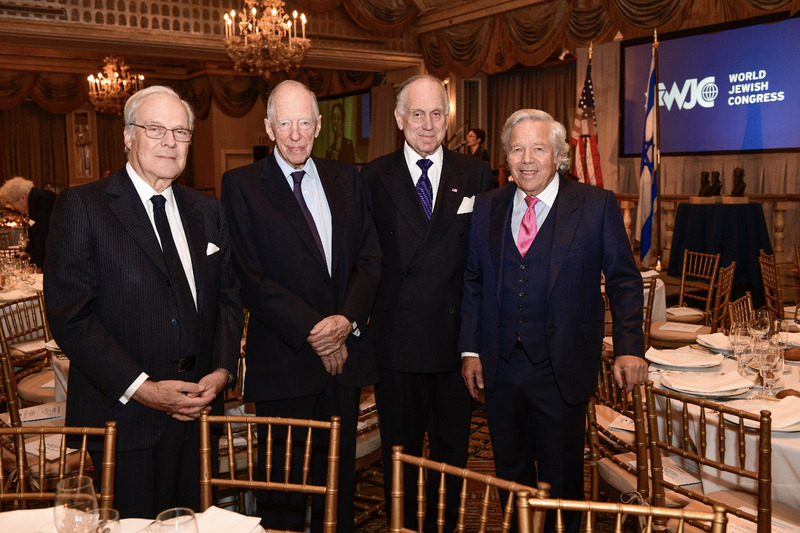 President Lauder presented the annual Teddy Kollek Award to Robert Kraft, “one of the most dynamic and creative philanthropists in the US and Israel”. In accepting the award, Kraft also spoke of the Pittsburgh attack, and said that in the spirit of the victims, he would "further my efforts each day to commit random acts of kindness" and "use some of my resources I have been blessed to have in my life to help combat antisemitism and all hate crimes." "I have been privileged to see the power of sports and the effect it can have in bringing people together from all different backgrounds and to break down barriers," Kraft said. Previous recipients of the Theodor Herzl Award include former Secretary of State General Colin L. Powell, former US Vice President Joseph R. Biden, Israeli President Shimon Peres, Elie and Marion Wiesel, former secretaries of state Henry A. Kissinger and George P. Shultz, and, posthumously, Ronald Reagan and Axel Springer. Kirk Douglas was honored with the inaugural Award.